After hustling through shortcuts in Kamwokya slum, I arrived at Kyebando-Kisalosalo, another slum and wetland. Besides Passover Harvest Church in Kyebando is a huge, filthy trench filled with rotting garbage and stagnant water. On the other side of the trench is a cluster of rows of rooms, the kind low income earners rent. One of the rows, comprising nine rooms, is in an enclosure. The compound is concrete; so, while the place lacks grass or any green, it is fairly tidy; there is little dust. The bathrooms and latrines are also inside the fence. It was a Sunday and nearly every one was home. At the entrance of one of the rooms, a man sat on the ground, leaning forward on a bench littered with pupils’ report cards, recording children’s names in a black book. Another man sat in a wheelchair close by, reading an old newspaper. Some women sat at their doorsteps cooking, as others mopped the floor, did their laundry or cleaned utensils, all the while chatting and laughing with one another. Children were nosily playing and running about. Apart from the children, everyone here is disabled. Many people have always wondered where Kampala’s beggars live. During the day, they take up street corners in the city and crawl from one building to another, begging, but at night, they are nowhere to be seen. I was surprised to learn that this community accommodates more than 150 adult beggars (40 families), without counting the children, sharing 20 rooms (beside the nine in the enclosure, there are 11 others outside the fence). “We are very many. Each room accommodates two families because we do not have enough space” said Moses Olar, the man in the wheelchair, who is the secretary of the community. According to the chairman, Julius Ochieng, many of them came to Kampala during the Lord’s Resistance Army insurgency in northern Uganda after the rebels killed or abducted their family members. They fled southwards for their lives. “During the instability, our lives were at stake. The people that were taking care of us were being killed, so, we decided to come to Kampala where it is peaceful,” Ochieng said. 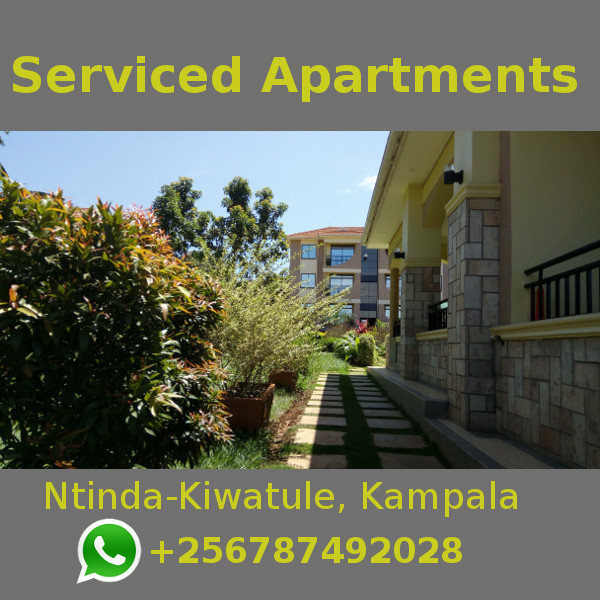 Upon arrival in Kampala, they slept on the streets for some time until they finally got this home. Those who came earlier eventually invited their relatives to join them and soon, they grew into this large community. It is from here that the beggars flock to the city daily to try to make ends meet. They take a commuter taxi from Kisalosalo to the city centre, paying between Shs 700 and Shs 1,000 per trip, and return home in the evening at the same fare. Olar says on a good day, he makes between Shs 3,000 and Shs 5,000, from which he deducts his transport fare and spends the rest on food for his family. “That money is not enough to cater for all our needs,” he says. Thus, most of them take their children along to beg in a bid to increase the family’s income. Each adult pays a mandatory Shs 2,000 at the end of every month, which they pool to pay for services such as emptying their latrines and keeping the surroundings clean, among others. Ochieng says a woman he only knows as Lisa owns the property. She offered the beggars accommodation and does not ask them for any money. “That white woman came to the streets in 1995, got us out of there and brought us here. She gave us the rooms with beds and mattresses, and we sleep here free of charge,” Ochieng says. But although they do not pay for rent, they have to cater for their meals, wellbeing, clothing, and their children’s education. This is the reason they give for continuing to beg. “At first, we used to get food from the [United Nations], but they stopped. Sometimes, people around the community bring us some food and clothes, but this is not often,” Olar says. 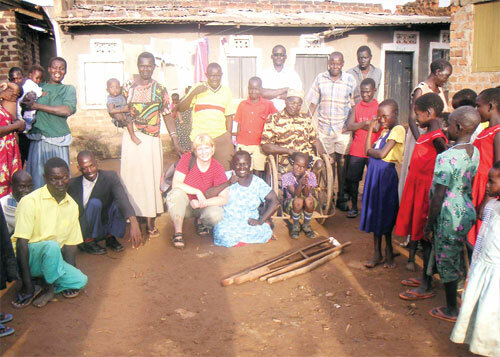 At the entrance of the community is a signpost that reads: ‘Little Denmark Shelter, Property of the Lisa Care Foundation.’ According to information from the foundation’s website, Lisa came to Uganda from Denmark in 1995 and established a school for the needy on the property that now houses the community. The school, however, collapsed, as the project’s coordinators became corrupt. Lisa then decided to start a clinic, which she later transformed into a shelter for disabled people abandoned on the streets. This, according to the website, is only one of her many projects to help the needy in Uganda. This home is in relatively good condition, although, because it is in a wetland, the place often floods during the rainy season. “When it rains, we cannot go to [the city] because there is water everywhere, even inside our rooms. We cannot crawl in the water and mud; so, it becomes difficult for us,” Olar says. The people are ready to quit begging, but their only fear is where to get money for their upkeep. “If we get proper help, we can stop begging. We need certain necessities before we can let go,” Olar says. Some say they own land at their ancestral homes, but have no money to develop it, yet they cannot work it, since they are disabled. They say the government has not helped them either. “The authorities say they don’t want us in the city, but they have not taken time to know what our problems are. They ought to help us,” says Olar. Begging is now their way of life and changing it will require alternatives that guarantee some basic income. Until such a substitute is found, the daily journey of these crippled men and women from across the trench in Kyebando-Kisalosalo to the city streets will continue for years to come.